If you are having a party, holidaying nearby, entertaining friends, or simply having a weekend relaxing at home, why not indulge in some of our draught beer. All sizes catered for! We can provide jugs (4.5 pints), a piggin (18 pints), a polypin (36 pints), and firkins (72 pints). Please let us have as much notice as possible for 18 pints and up. We also stock a selection of bottled beers, goodies galore, and some great t-shirts. Perfect presents for beer fans! 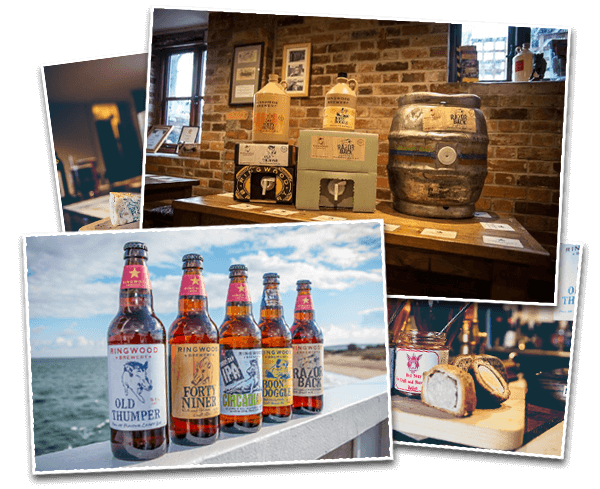 If you cannot visit us personally but wish to order any of our gifts or bottled beers please visit our online shop. *All casks (72 pint containers) must be returned within 30 days of collection, we will keep your details on file as a form of deposit however no monetary deposit will be taken. 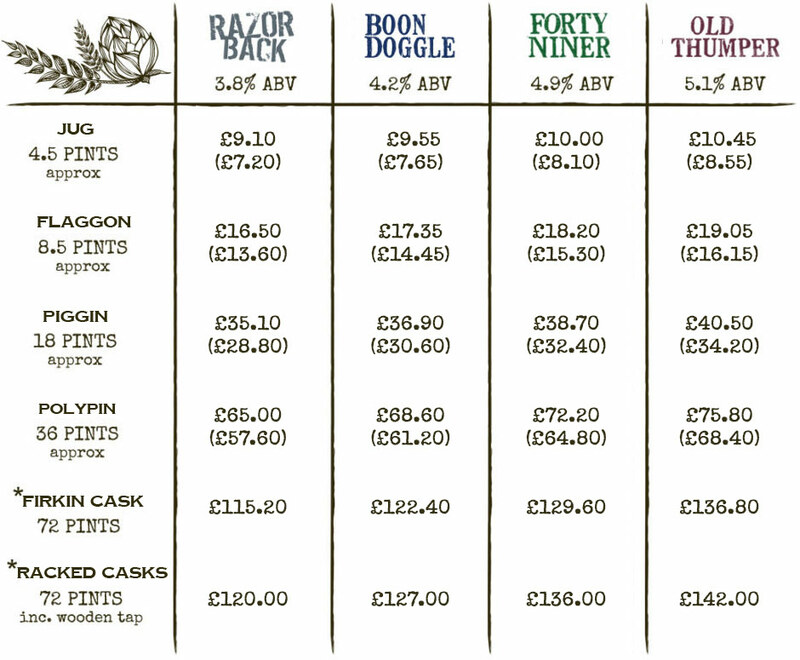 Any casks not returned will be chargeable at £50 per barrel. All other size containers do not need to be returned to the brewery and can be kept and refilled when required. 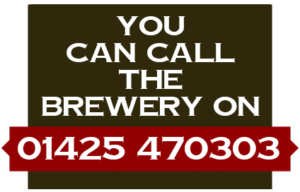 It is advisable to give as much notice as possible for orders of 18 pints or over and pre ordering is essential during the busy periods to avoid disappointment.